Best Books for Men: Scott Hamilton writing new book - "Finish First"
Scott Hamilton writing new book - "Finish First"
I just listened to Donald Miller’s fascinating podcast interview with Olympic gold medalist figure skater Scott Hamilton. The topic is winning. Hamilton talks about the mental roadblocks that happen to people that keep them from finishing first and how those roadblocks can be overcome. Many valuable insights by one of the world's most accomplished athletes. 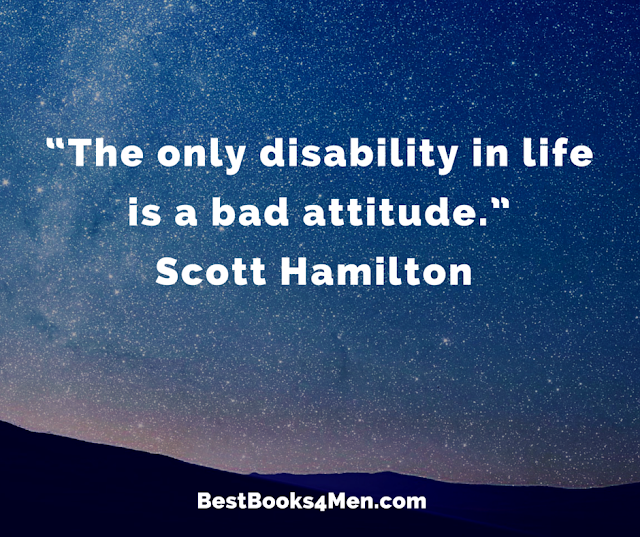 Hamilton, whose motto is “The only disability in life is a bad attitude,” is now writing a book called “Finish First.” You can find the podcast - How to Show Up, Hit Your Goals, and Win Big – on iTunes here.